Looks like Anchorman 2 isn’t the only film sequel to be announced this week, although the arrival of a Twins sequel -- called Triplets -- may not have the same resonance. 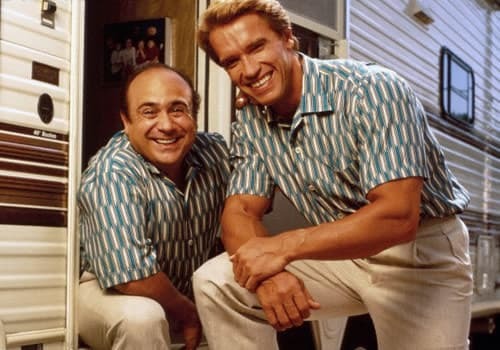 Universal Pictures has announced that both Danny DeVito and Arnold Schwarzenegger will return, and original director Ivan Reitman is set to come back as the film’s producer. The third part of the Triplets trifecta will be Eddie Murphy. On paper, this could be quite hilarious, especially if it maintains the heart and humor of the 1988 original. Schwarzenegger is back on film with a vengeance since leaving the governor’s office. Look for him in August in The Expendables 2, later on in The Last Stand and he is currently filming another film with Sly Stallone, The Tomb. World War Z 2 Release Date Revealed: When Will Brad Pitt Battle Zombies Again? Mad Max Fury Road Sequel Is a Go: What Is the Title? John Wick 2: Keanu Reeves Is Reloaded and Ready for Action!